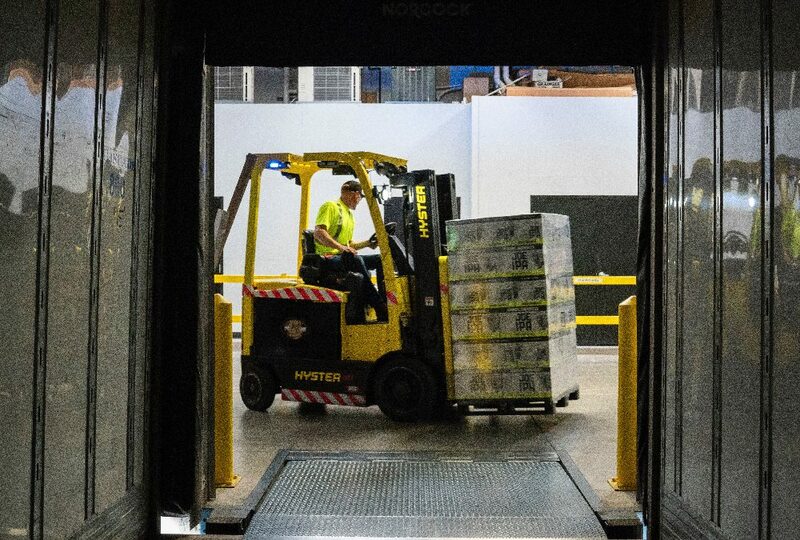 Forklift accidents account for approximately 85 deaths, 34,900 serious injuries, and 61,800 non-serious injuries each year in the United States, according to the government. While OSHA requires employers to train their forklift drivers thoroughly, the training of employees who work around forklifts is sometimes overlooked. Use dedicated walkways – We recommend that all warehouse areas where forklift traffic is present have a dedicated walkway. Employees should know where these pathways are and use them. Look and listen for oncoming traffic, especially at intersections – Forklift drivers should be trained to honk their truck’s horn when crossing intersections. Listen for these sounds. Use mirrors to check for forklifts coming around corners. Make eye contact with drivers – Forklifts, like any other vehicle, have blind spots. Make eye contact with the lift operator and acknowledging each other’s presence with a wave or hand gesture. Stand clear of forklifts in operation – Generally, the forklift operator’s priority is to keep the product he or she is transporting from being damaged. The driver may be more focused on maintaining the load than watching for bystanders. In short, always be aware of your surroundings and look out for forklift traffic to stay safe.